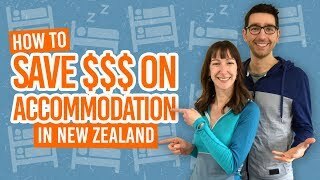 What are the “Must Stay” Hostels on the South Island? Travelling on a budget on the South Island of New Zealand does not mean staying in dark and cold bunk dorms for the length of your trip. New Zealand’s wildest island has tons of characterful hostels owned by locals that work hard every day in making sure budget travellers fully enjoy their time in New Zealand and stay in some great hostels on the South Island. From the artsy hostel with murals and paintings to brighten your day to the themed hostels or simply a hostel with a great vibe, there is something for everybody in the South Island. We have even dug out an off-the-beaten-track hostel with its own radio station! In fact, most of the highest-rated hostels in the country are on the South Island. Here is our selection of the best backpackers accommodation on the South Island of New Zealand. After a day down at the beach or taking on the many hikes and mountain bike tracks around Westport, there’s no place we’d rather be than on the hammocks of Bazils’ courtyard or watching a movie by the fire. A couple of surf-buddies at the helm of the hostel have made this is a cool and colourful place with the whole building turned into a piece of art. Literally, every wall is covered by a mural made by one of their past employees. It is hands down, our favourite hostel in Westport! Hostel, farm, radio station, art gallery, hippie hub… Rongo’s is one of those weird mixes that absolutely works! Located in the small township of Karamea in the far north of the West Coast, the hostel and its amazing surroundings are well worth the drive. Make sure you record your own radio show before you leave! New Zealand’s premier pod hostel is an experience in itself; a step into the future if you will. It’s like stepping in Brice Willis’ shoes in The Fifth Element! When looking for a place to get a proper night’s sleep in something far from the squeaky bunk beds, give Jucy Snooze a try! (And that’s only the pod rooms, we’ll leave the common areas a surprise for you). Check out more 8 Best Backpacker Hostels in Christchurch. Who knew that a cemetery theme for a hostel was such a great idea?! Tombstone Backpackers is an awesome first hostel stay when stepping into the South Island in Picton. Spacious, fun and serving freshly-baked scones every morning, the hostel is our top pick in Picton! Onuku Farm Hostel is another hostel that is reason enough to get off the beaten track. In the heart of the Banks Peninsula, the hostel is all you would dream off: stargazing roofs, no roads around, kayaks to hire, little blue penguins and dolphins seen regularly. Plus, it is almost entirely self-sustainable. 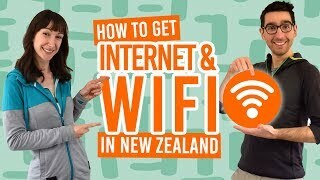 No wonder it is on our list of most unique hostels in New Zealand. Plus, check out more 5 Best Backpacker Hostels in Akaroa. Free chocolate pudding every… single… night! Should we really elaborate? This alone makes Tasman Bay Backpackers one of our favourite hostels in Nelson. And the competition in New Zealand’s sunniest town is tough. But with spot-on facilities, a well-maintained hostel, fun staff and great clientele, it deserves it spot on the top. Check Tasman Bay Backpackers out! The Harry Potter themed hostel is a flashpacker by definition. No bunk beds, large rooms, awesome facilities, central location and even serviced laundry. Owned and operated by a passionate international couple, the hostel is our top choice in the great city of Dunedin. Themed hostels are a big thing in the South Island and Christchurch has its share of it with Jailhouse hostel. You guessed it, Jailhouse is an old jail converted into a hostel. Don’t worry, there is no warden and no curfew in effect. Jailhouse has such a unique feel that is won a spot on our most unique backpackers hostel in New Zealand list. New, fresh and tasteful, the Oamaru Backpackers in a real hidden gem. Located in the Steampunk and Little Blue Penguin Capital of New Zealand, the small hostel is quickly making it to the top of the list of the must-stay hostels on the South Island thanks to the genuine care of its staff and spotless facilities. See more 5 Best Backpacker Hostels in Oamaru. What about staying on a boat for a change? The most surprising entry in our most unique backpackers hostels in New Zealand list has to be Aquapackers, a boat hostel anchoring near the golden sand beaches of the Abel Tasman National Park. Spaces are heavily limited so book early. Plus, see more 6 Best Backpacker Hostels in Abel Tasman National Park.